The main objective of this HORIZON 2020 project is to clinically validate a personalised medicine tool that predicts the most effective treatment option in myeloma patients. Currently, there are a range of single/combination novel agents and chemotherapy drugs available and in development for myeloma, the second most common type of blood cancer. As myeloma is a very heterogeneous disease, not every treatment is suitable for each patient. There is therefore an urgent need for a diagnostic tool that supports treatment decision-making in order to improve patient health outcomes, increase the value of new medicines to healthcare systems and to reduce healthcare costs. SkylineDx will develop MMpredict, a microarray-test that can be used for genetic subtyping of MM patients. This tool should be able to determine the most effective treatment option for a patient by predicting their treatment response based on gene expression profiling (GEP). From the patient perspective, the prediction of treatment responses is linked to a social benefit and better quality of life – this is also related to an economic benefit for European healthcare systems. The first step in this project for Myeloma Patients Europe (MPE) is an assessment of the quality of life patients have with currently available myeloma treatments and how side-effects impact upon them. The survey is also designed to help researchers understand the kind of diagnostic tool that could be valuable for patients and their doctors when choosing their future treatment. To do this, MPE along with all stakeholders involved in this project, has developed a survey based on the EORTC QLQ-30 and supplemented with EORTC multiple myeloma module QLQ-20. 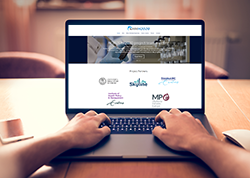 Along with Skyline and MPE, the consortium of European partners includes Erasmus MC (EMC, Rotterdam), University of Turin (Unito, Turin) and the Institute for Medical Technology Assessment (iMTA, Rotterdam).